Good morning everyone. Ever changing IRS regulations and our inability to track everything in the past has resulted in the following policy for awards at Camp Perry. Due to ever changing IRS regulations and the need for the NRA to be in 100% compliance, there will be some changes made in the awards process at the following NRA championships beginning in 2016; the Bianchi Cup, the National Matches at Camp Perry, the Smallbore Championships in Bristol, IN, the Silhouette Championships, the Black Powder Championships, and the World Shooting Championship. Let’s start with the basics. Awards are varied but generally consist of Award Points, Visa gift cards, donated merchandise, checks, trophies, plaques and medals. Non-taxable items are trophies, plaques and medals. Beginning in 2016, Visa gift cards will be eliminated and checks will be issued to the winner instead. Those checks will be sent from NRA Headquarters and will not be available at the championship. Still available at the National Championship will be Award Points, donated merchandise, trophies, plaques, and medals. All awards must be picked up at the awards office prior to leaving the championship. The last day available to pick up awards will be the last day of the championship. Only checks will be mailed. All unclaimed items will become property of the NRA. In order to claim awards the competitor must have a “verified” W9 on file. What is a “verified” W9? It is one that has been run through IRS files to verify that the information on the form is correct. If the W9 cannot be “verified”, no awards will be issued, including any checks from NRA Headquarters. Upon arrival at each championship you will be asked to complete a W9. We will request that the information on the W9 be verified. Once the information on the W9 is verified as accurate, the computer system will be updated with the information that the verification process is complete and awards will be issued as they become available. Sensitive information on the W9 will not be entered into the computer. Because there is a time delay between completing the W9 and getting it properly verified, any delay on your part in completing this form will result in an additional delay in your ability to receive an award. Wait too long and it might not be possible to verify the W9 before the championship ends. The Competitive Shooting Division recommends that competitors complete a W9 during the registration process. This will provide sufficient time for the verification process and allow awards to be issued in a timely manner. As has always been the policy, unused W9s are securely destroyed at the end of the calendar year. They must be getting desperate for funds. I am glad to see we will ensure the solvency of the nation. Just to make sure I don't contribute to the IRS, I plan to shoot bad enough to not win anything. I am starting to like the flat tax idea and dump this unnecessary paperwork. I do like the idea of doing the W9 ahead of time to reduce Perry onsite paperwork, I feel for the NRA on the IRS making these "verified" W9's. The sad thing is the overall cost all in for these types of collections probably exceeds the gain. Kind of pointless when you get down to the details. 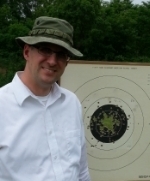 Years ago, when I was more active with competitive shooting, spending more money and winning more often, my tax accountant advised that since I could be taxed on my winnings I could also deduct my expenses involved to create those winnings. I think that gamblers can do something like that. I would highly recommend that you contact your tax preparer for details on what's legal and go from there. We might even have a tax guy online who can help. What he says is absolutely true....up to the extent of your winnings. Costs beyond that are not deductible, but at least it keeps you from being taxed on winnings when in fact you have a net loss. Unfortunately all of this kind of activity does increase your chances of scrutiny from an auditor. The chance may still be small, but it does increase it. There are many complications and I've often considered that if I get harrassed due to winnings, I would claim all the costs, but how is NRA going to track what happens to Team Awards issued to the Team Captain, that get ultimately turned in to the Team's sponsoring organization, or even divided among members. I'm sure only the individual's W9 is concerned and now there needs to be a receipt chain to follow everything. Team awards will now only be issued to individual team members, not to the Team Captain. DirComp wrote: Team awards will now only be issued to individual team members, not to the Team Captain. I personally think there is a lot more real security in storing everyone's tax ID number with their membership info rather than have it resubmitted on a very insecure paper format every year. Banks and personnel departments for mega corporations such as Walmart, are surely not keeping this info on a hard copy in a vault somewhere. For most of us former military, the Chinese have all that data anyway. The NRA would probably be wise to go to an electronic check/electronic point system, to avoid all the 19th century paperwork. The good awards, like the guns, are going to have to be shipped anyway right? So plenty of time to verify for tax purposes. I noticed on my 2015 tax form there was a place for Hobby expenses. Never saw that before. It is theoretically possible to write off your expenses of attending the national matches against your winnings, but people who are not in a position to itemize their taxes may be out of luck. In short, if your total itemized deductions don't meet or exceed your standard deduction, you are going to be paying taxes on your winnings regardless. I understand the Feds are undoubtedly trying to find an angle to put the squeeze on the NRA, and the IRS is the Gestapo arm of the federal government: However, that said, I hope this complicated scheme to get into compliance with the tax laws did not spring out of a consulatiation by phone with some minion in the IRS in Virginia, and instead is a result of the NRA getting the opinion of a tax lawyer familiar with all the laws applying to organizations like the NRA. For example, it is my understanding that Casinos are required to report any winnings over 600 dollars to the IRS. Unless the National Matches are being held to a much stricter standard under some law I am not aware of, it would seem that only the top winners at Camp Perry would need to submit a W-9 and it would be unnecessary for everyone to do it up front, "just in case". We track awards over multiple championships, and many of our competitors do shoot multiple championships, so that's why we require a W9 for each winner. We now must "verify" the information on a W9 as being consistent with IRS files so this will add some time before awards can be claimed. By doing an W9 at packet pickup we are sure that we can do the verification done in a timely manner. I am working on a system to store a W9 electronically. At packet pickup you would access a laptop that contains the information (not connected to the Internet), verify the information is correct or make necessary changes, and we eliminate paper forms and you don't have to complete one each year. I am also working on a bar code system to help. We would scan a bar code from your competitor card and it would bring up your W9 automatically. This will make things move along quicker. Lots of work going on behind the scenes here, especially with bar codes and competitor numbers. It should make everything easier from registration to accepting awards, and improve our accuracy as well. In Trapshooting we found you can only deduct your expenses if you are indeed a business. Many have found deducting expenses from winnings is a gamble. Pun intended. Once the system is electronic, it would create a huge incentive for people to shoot, if you give them a bonus of some kind, like maybe 50 percent if they elect to apply their awards to the following years entry fees. Make them good for two years, and you would see a lot of happy shooters who will probably never be in a position to win the aggregate. Schaumannk wrote: Once the system is electronic, it would create a huge incentive for people to shoot, if you give them a bonus of some kind, like maybe 50 percent if they elect to apply their awards to the following years entry fees. The problem that I have here with that is that budget money doesn't hold over from year to year. I would be giving someone a 50% discount but wouldn't have the money in the account to back it up. I would have lost it when last year's budget was closed. So, if I interpret what you are saying correctly, based on the NRA's archic budgeting process which appears to be much like the governments, it makes no difference how much the National matches make, lose, or spend on the match, because the budgeting process is independent of that calculation? Correct? I think I see the problem here. No incentive to make money on the matches. No disincentive for losing money, and no reward at all for increasing participation. Got it. With these IRS compliant changes will the NRA be able to bring in more $$/items for prizes? Would be nice to see Bianchi Cup awards @ Perry. Bianchi Cup is supported by industry, something that Camp Perry sees very little of - in comparison. The action of the Bianchi Cup makes for an exciting finish and we have just made changes that will make it more so. This excitement will attract more press/TV coverage, which will attract more sponsors, which will attract more competitors. In addition, Bianchi Cup's Production and Metallic Divisions are large, unlike in Precision where they just never seemed to take off. A lot of sponsorship comes because of these divisions. In Precision, almost everyone is shooting a high dollar custom gun. I know, I had 5 of them. Manufacturers can't seem to get excited about this because they don't make custom guns, they make Production guns. They want to support those competitors who are shooting their guns. I have shot in the Bianchi Cup and it's fun, exciting and fast. It is a combination of speed and accuracy. It is fun to watch and crowds can be seen gathering behind competitors who are doing well and applause is frequently heard for a good performance. All of these things are not found, possible, or seen in Precision Pistol. I've been shooting Precision Pistol for well over 30 years and I don't recall ever seeing a crowd gather behind a competitor and applaud his performance. For Camp Perry we struggle to find sponsors and keeping them is even more difficult. Some come for a year or two and go on their way. We once had MidwayUSA but they said they didn't see the value in Camp Perry and dropped their sponsorship, but they are the title sponsor for Bianchi Cup. We most recently had Remington, but after two years, they too went away. Remington used to provide 7 rifles in High Power and today we get none. Precision is slow and tedious. The excitement comes from within and is seldom seen by others. And perhaps there is the problem. Remember, it's the excitement that attracts the press, the press attracts the sponsors, and sponsors attract the competitors. Action Shooting is NOT a run and gun type of sport. You stand in one place and compete against the clock with the necessity of accuracy. After you have fired, you pick up and change yard lines and repeat; compete against the clock with the necessity of accuracy. We have more than a dozen Grand Seniors compete at the Bianchi Cup. It is easy for the press to cover as each competitor is basically stationary with lots of action down range. It is pretty common for competitors to have their own camera crew filming them as they shoot. TV coverage from Shooting USA is prevalent and having a camera 2 feet away while you shoot a course of fire is not uncommon. In the end, I don't think that we will ever see Bianchi Cup type of awards at Camp Perry. However, once in a while a new sponsor comes along and this year we have a repeat by U.S. Secure Coins who will provide a firearm to the overall winner and 70 Morgan silver dollars valued at $100 each. One sure way to help keep them onboard is to buy silver/gold from them and let them know who you are and why you are supporting them. Your support will give them the reasons to make them want to stay with us at Camp Perry. The biggest supporter on Commercial Row is Springfield Armory. Stop in, say hi to Mike Doy, and thank him for his support. A little goes a long way. Rock River is also a great supporter. Again, stop in and say hi to Chuck Larson and thank him as well. I wish I could offer more hope with awards but we work hard at finding and keeping sponsors. They are simply few and far between. I will be dropping in and thanking those vendors and supports. For other sponsors a few 22lr manfucaters / conversions are commonly seen. Custom wadguns are usually built by parts from the same manufacturers. We all seem to use the same projecticles, powder,brass. We all use scopes for gunboxs, along with some form of gun lube. I'm not sure if any of these makers would be willing or interested in supporting Perry. Just throwing out some options if NRA searchs out sponsors. Will the NRA allow me to compete in multi divsions? I would be more then willing to shoot with my custom gun, then refire the same course with my production gun...hopefully with enough time between the 2 courses. Sell sponsorships as a package. Where they get to sponsor the precision sports as well as the action sports for not a lot more. Yes action will complain, but we're all in this together. As for the excitement aspect, it was never a photogenic sport. it was never a photogenic sport. This year at the Bianchi Cup, I can guarantee you that the last two competitors firing will be the #1 and #2 competitors in the championship and they will be vying for the Bianchi Cup Champion. They will be shooting a moving target on adjacent ranges simultaneously. It will be broadcast on large TVs set up on the ranges. Crowds will gather and it will be an exciting finish. In the future we will have cameras placed on the target and on the competitors, to add even more excitement. We will also have a golf-like leaderboard as well, which will be posted on the TVs throughout the ranges. I think that putting HD cameras on the targets of the top bullseye shooters as well as on those shooters would create a similar draw--as well as a realtime leader board. I think that would be more exciting to watch than golf! Rob Kovach wrote: I think that putting HD cameras on the targets of the top bullseye shooters as well as on those shooters would create a similar draw--as well as a realtime leader board. I think that would be more exciting to watch than golf! This would be relatively easy with electronic targets, but that idea got nowhere. I am conflicted on eTargets but this is the one thing I really like about them. My family could click on a link and watch my score as it happened - essentially they could see my monitor. I've watched the ISSF eTarget events online and it's really cool. A production crew could really make something of this, even build some suspense and maybe we could get some media money into our sport. DirComp wrote: it was never a photogenic sport. What would make Bullseye a spectator friendly sport is that after completing the 2700 the top 10 in each class move on to a finals. The finals being a 5 shot rapid fire string with 45's and the lowest score drops out. Repeat the process until places 10 through 1 have been earned.